Hello Friends! I hope you're having a fantastic weekend so far. I thought I'd pop in on this Sunday afternoon to let you in on a little secret. Since most of my friends do their meal planning and grocery shopping on the weekends or maybe even on Monday, I thought it was the perfect time to share a new product with you. 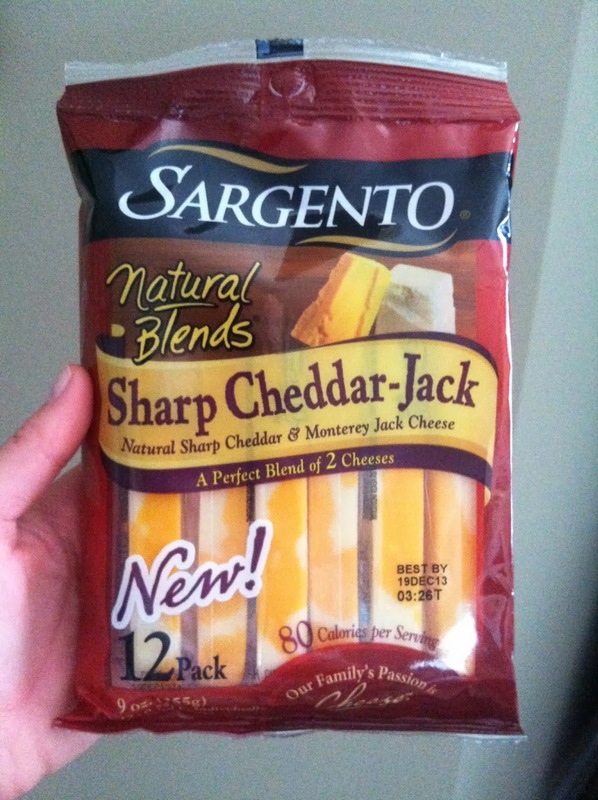 A few weeks ago, I had the opportunity to try Sargento String Cheese through the Influencer Network. I received a coupon to try the cheese in exchange for my opinion. The timing of this whole thing couldn't have been better. As you may know, I am a stickler for all natural, non-GMO foods (something my sweet Mama instilled in my brother and me...thanks, Mom!) and I try to avoid processed foods at all costs. To take it a step farther, I made the choice to become gluten free a little over a year ago. That being said, I always struggle with finding quick, wholesome snacks that I can grab and go. In addition, it's my experience that cheese is one of the hardest all natural foods to find. Most of the time, cheese has tons of preservatives to help maintain a longer shelf life. Just before receiving the invitation to participate in this challenge, I was searching for a block of all natural cheese and thought to myself...good grief! Is it that hard to find a block of cheese with no junk in it? I seriously almost blogged about it but I'm glad I didn't because now I have the opportunity to tell you about an all natural cheese that's easily obtainable in any grocery store. Allow me to introduce you to Sargento's Natural Blends. 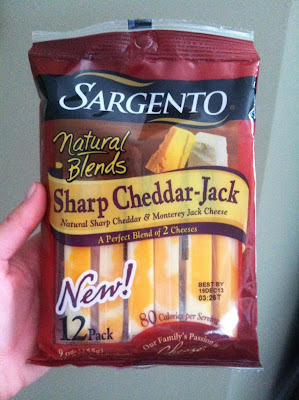 I tried the Sharp Cheddar-Jack and loved it. It's the perfect blend of two cheeses at 80 calories and best of all, no junk! It's a great, wholesome snack between meals, before the gym or for that afternoon pick me up. I loved taking them to the pool this summer! 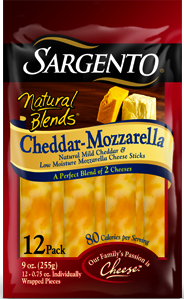 I invite you to try any of the Sargento Natural Blends as I'm confident you will love this product. Disclaimer: Yes, I was compensated in complimentary cheese for my opinion. However, all opinions here are my own, honest and yes, I will be purchasing this product again in the very near future. I love these for my boys. It is surprisingly hard to find lunchbox items with 'no junk'. Great product!